The e-POP Radio Receiver Instrument (RRI) measures wave electric fields in the 10Hz – 18MHz range, at magnitudes from 1 µV/m to 1 V/m. With these measurements from RRI scientists are better equipped to study the morphology and dynamics of ionospheric density structures, auroral wave-particle interactions, plasma nonlinear processes created by intense high frequency waves, and the mechanism of coherent wave backscatter. RRI is a four-channel VLF/HF receiver. 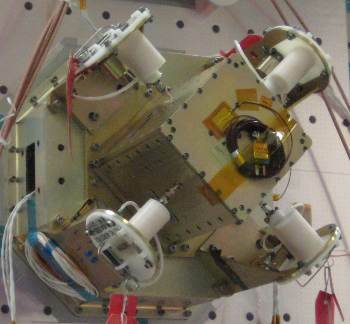 It consists of four 3-meter STEM dipole antennas, a digital radio receiver module, and an electronics unit. At VLF, the receiver measures the electric fields of spontaneous waves in the frequency range 10Hz-10kHz. The receiver measures the electric fields of LF-HF radio emissions and of man-made waves transmitted from ground radars (CADI, SuperDARN and HAARP). The input dynamic range of the receivers is about 100 dB, covering an input signal level from -100 to 0 dBV. The receiver bandwidth can be selected at either 5 or 30 kHz. The analog output of each antenna is fed through a high-impedance pre-amplifier, then matched to a 16-bit analog-to-digital converter. 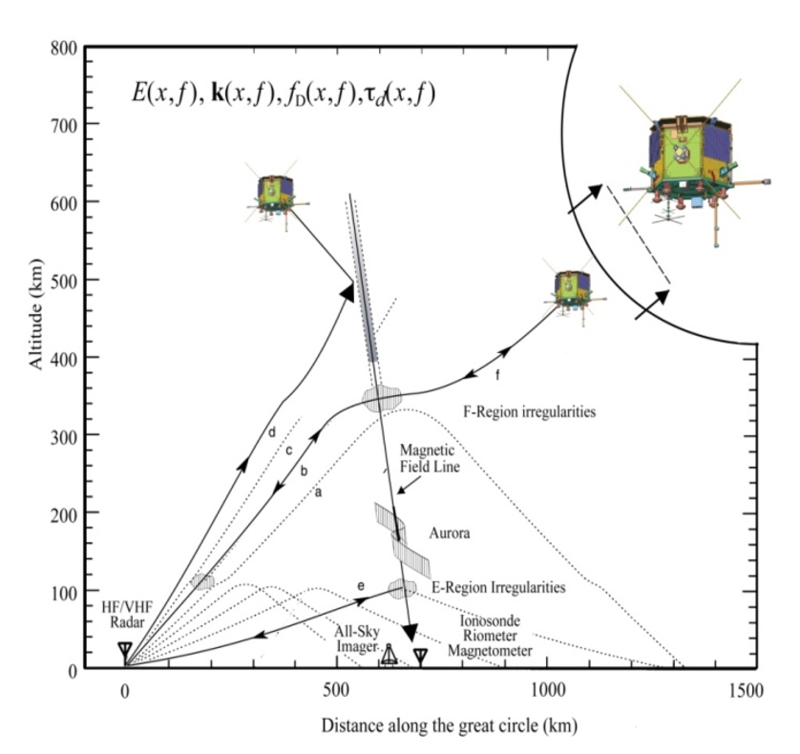 The amplitude and relative phase of the incoming signals is measured using the orthogonal dipole antennas, allowing for both the magnitude and direction of arrival of the waves to be determined. For more information, download a detailed 1-page description of RRI. Dr. Gordon James is the lead investigator for RRI. RRI was built by COM DEV International in Ottawa, Ontario, with contributions from the University of Calgary.